Tree planting season is here! Help King County plant 1 million trees by 2020. Tree-planting season (our favorite season here at Parks) has arrived! It’s time to break out your shovel and gloves to give the earth a little tendering loving care. Get growing! This morning, a group of volunteers welcomed tree planting season by making a small dent in King County’s 1 million tree planting goal. As part of the Executive’s 2015 Strategic Climate Action Plan, King County is attempting to plant 1 million trees by 2020. The initiative aims to mobilize the public to participate in tree planting and increase public awareness about the value of trees and how to care for them so they have the best chance of survival. Interested in getting involved with the 1 million trees initiative? Sign up to receive updates on volunteer events and progress being made. Every Saturday from 10 a.m. to 2 p.m., King County Parks offers volunteer events for groups and individuals. We provide shovels, gloves and instruction, all volunteers have to do is wear weather appropriate clothes that can get dirty. 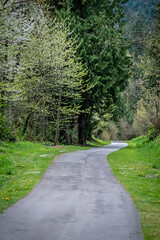 The King County Parks Foundation is devoted to cultivating private-sector philanthropy to connect communities to regional trails, open space, parks and to support the resiliency of the parks system for future generations. Partnerships are key for 1 Million Trees. Let us know if you or your agency is planting trees in King County! Previous Post Your Big Backyard is covered with these! Next Post This weekend Oct. 14-15 is the last weekend of Trailhead Direct until the spring.